Team Events E.g. Go Karting, Bowling, Laser Combat and more. Ten-time European Cup winners, Real Madrid, are the most successful football club in the world and boast a truly exceptional academy. La Fabricia (The Factory) is based in the club’s state-of-the-art facility at Valdebebas just outside of the famous city and nurtures some of the best young international talent. Real has produced stars like Raul,Juan Mata (Manchester United) and Roberto Soldado (Tottenham Hotspur). 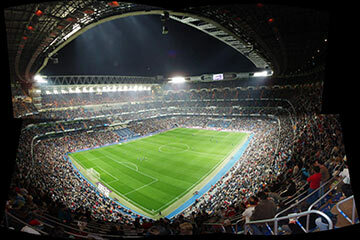 The club’s 80,000-seater stadium,Santiago Bernabeu, is one of the city’s main attractions and provides an unforgettable live game experience – whether it is a La Liga or a Champions League game. 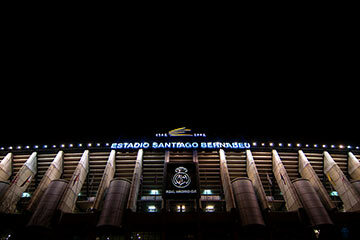 Watching a game at Santiago Bernabeu was the highlight of the trip, the kids will never forget that experience.